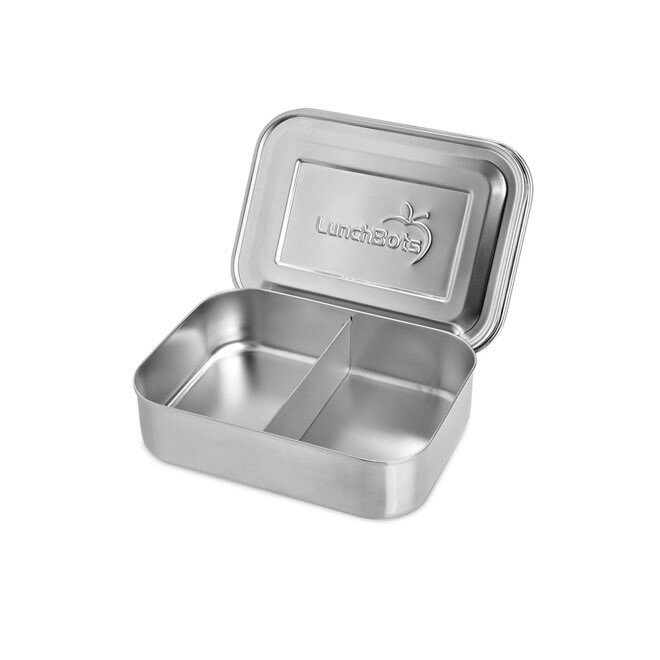 Lunchbots Small Snack Packer is the perfectly sizes stainless steel bento for small meals and snacks on the go. It has 2 euqally sized bento compartments. 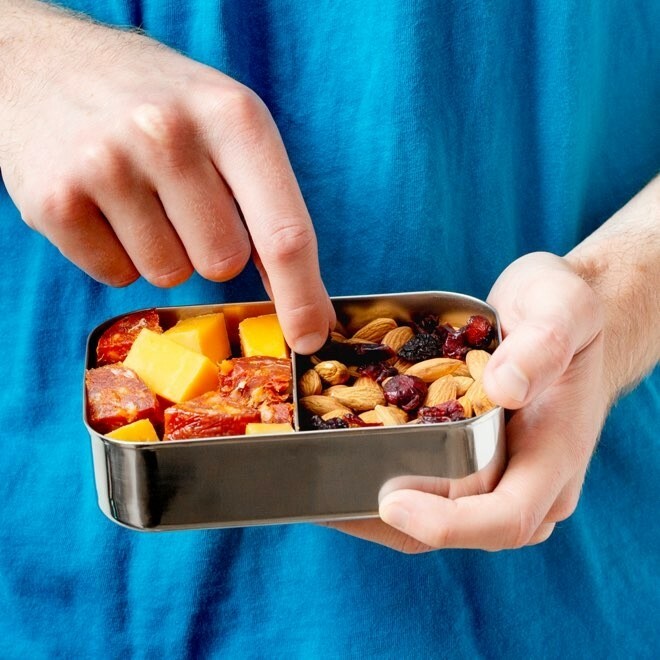 They are made from food grade stainless steel and nothing else. 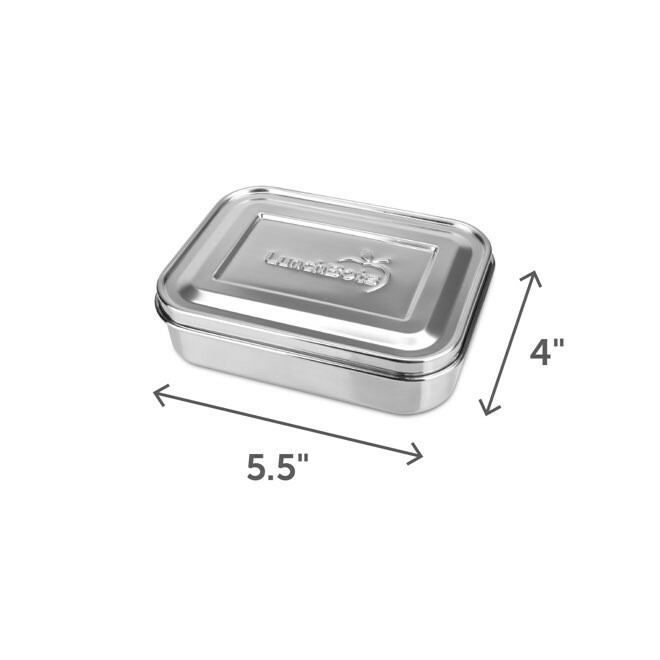 They are dishwasher safe and best suited to solid foods as there are small gaps between the dividers and the lid isn't leakproof. 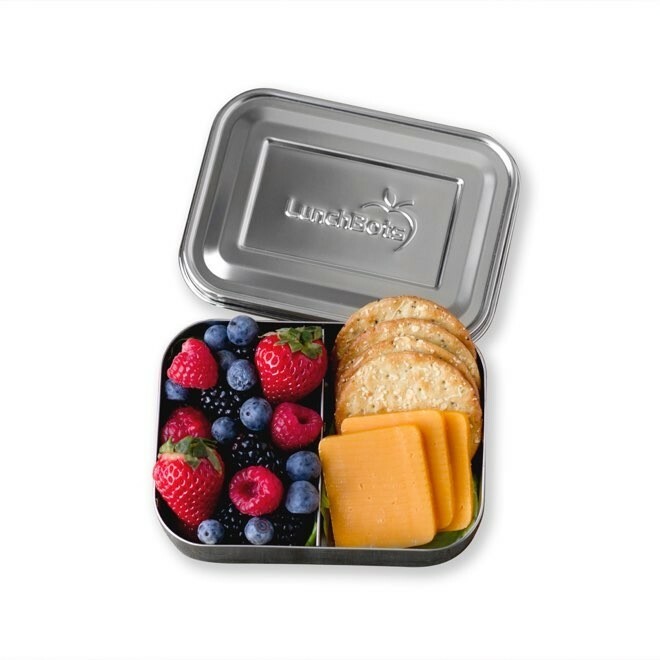 Leakproof snack pots are available to purchase separately for holding dressings and dips. CARE INSTRUCTIONS - hand wash or dishwasher safe. Not to be used in the microsave or oven. 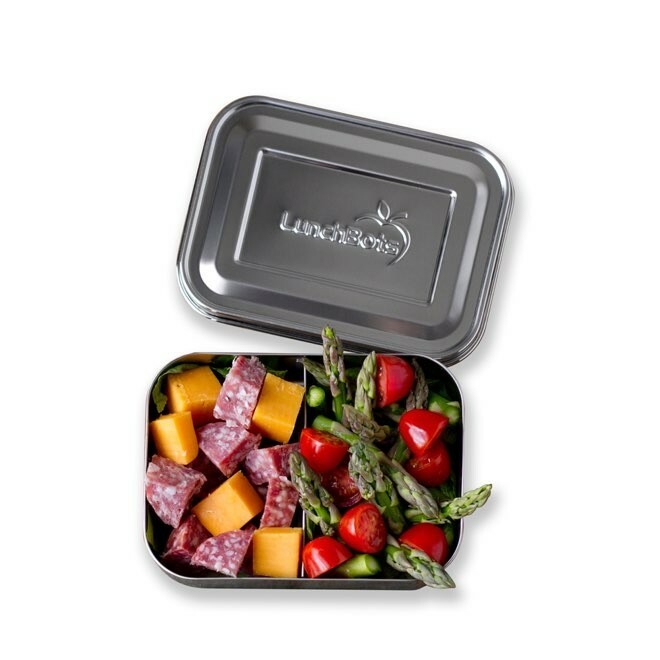 We have been stocking this premium brand of stainless stel lunch boxes since the first year we started our business in 2009. The finish and attention to detail in the product can be seen for those who like to invest in quality. 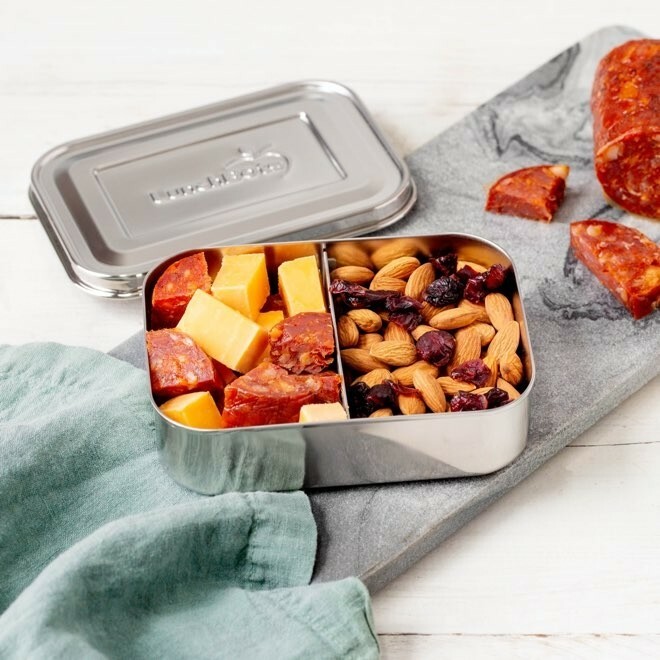 Their bento box options come with 2, 3, 4 or 5 dividers.